To add a Palauan dictionary to your Microsoft Word application, simply download this file and follow these instructions. 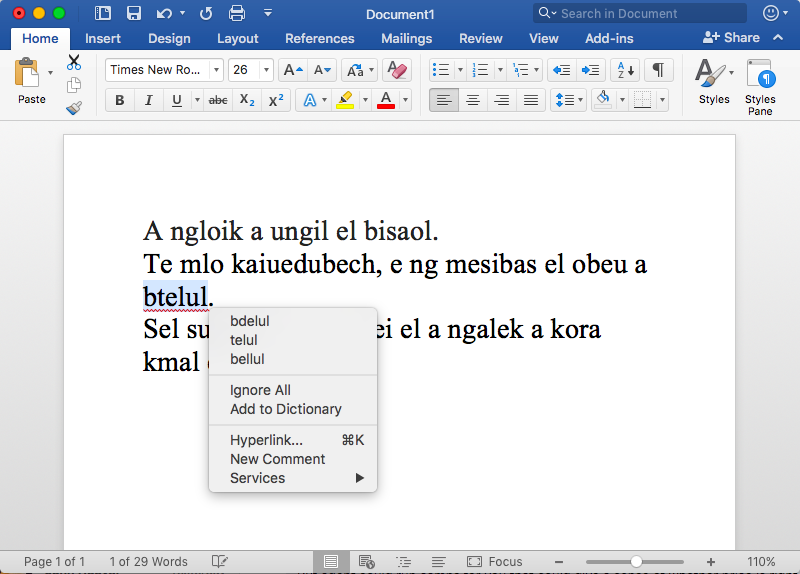 Once you have done so, then you will be able to use the built-in spell-checker in Microsoft word as shown in the picture below. If you do find missing words, please email them to us at info@tekinged.com or add them in the comments below.